This entry was posted on 2015/04/20 by Robin. It was filed under Birds . A great shot of these beautiful ducks. Pat, thank you! I think they are very pretty! 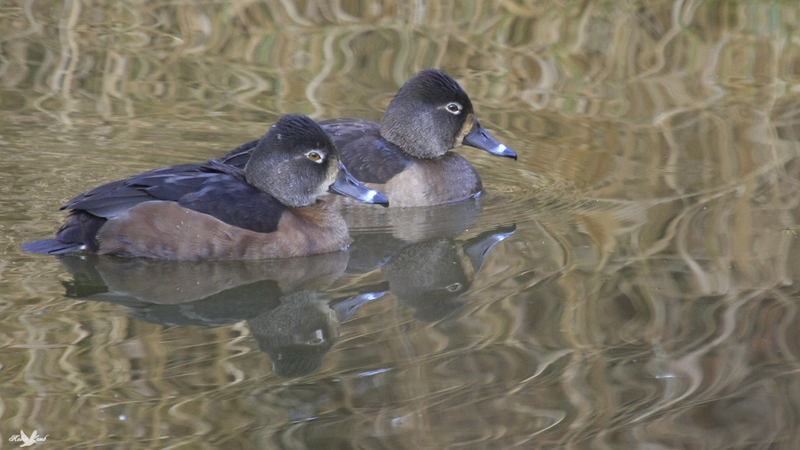 That’s 2 female Ring-necked Ducks, happy swimming along. Great images.